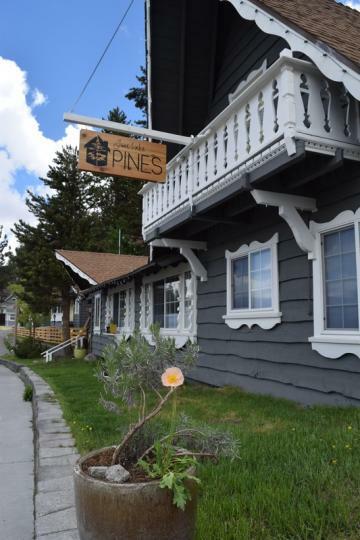 Centrally Located in the June Lake Village. One, two and three bedroom have fully equipped kitchens. Patios and common outdoor areas with access to BBQs, fish sink, ice machine, and laundry facility. Wifi and cable TV provided in each cabin. Laundry facilities available. Some have a fireplace. All linens and towels provided. Pets allowed in some cabins.